The US dollar failed to show a long-term rebound. Seeing stock market upturn in the USA, the dollar soared against the majors, but later lost the pace and resumed the weakening. Moreover, investors are run out of the steam as well. Asia posted mainly negative market developments amid skyrocketing Wall Street indices. At the same time, the European indices were differently directed, which confirmed the technical nature of the recent decline on oversold currency. The euro posted some gains at the morning trading today. Moreover, euro bulls even managed to offset some decline faced a day earlier. 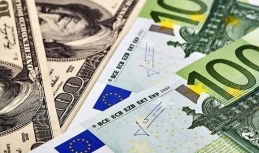 In general, the euro-to-US dollar started following moderate downward trend yesterday. Trading was slow due to the Christmas holidays and the market saw no economic reports from the USA and the euro-area either. The euro has been strengthening this week with a good leap being recorded in the second half of the week. Following some decline, the bullish players keep pushing for the rise. 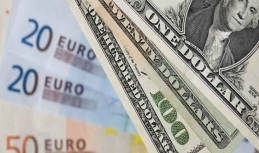 The euro-to-US dollar exchange rate broke the $1.14-handle touching some 1.1472 near the 100-day moving average. As a result, buyers have calmed down somewhat. 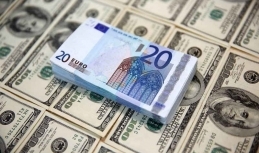 The observed upturn is also bolstered by the factors that boost euro positions but affect dollar's ones. 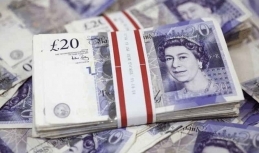 On Tuesday (December 18) the sterling is gradually restoring positions vs the greenback with the exchange rate reaching some $1.2680 now. The positive dynamics of the British currency is related to one and the same issue – Brexit voting in the UK parliament. It has been reported lately that the previous vote scheduled on December 11 was cancelled, while the new date has been slated for January 14. It is interesting what tactics Theresa May may choose this time. 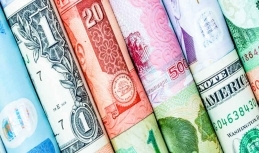 The currencies in the emerging markets have been positive at the trading week before the Christmas, though investors do rush to spend money on risk assets seeing a slower economic upturn in the world. At present, it is clear that the locomotive for the currencies of the emerging markets is the US dollar (in particular its weakening). The greenback has slacker positions on upcoming the US Federal Reserve meeting amid the fact that investors are slow to trade and prefer to wait and see, so the currencies in the emerging markets can continue rising. Speaking about Chinese yuan, it showed stable rate against the US dollar – investors are getting ready for the this-week big events in China. The oil market has not changed much. The market participants keep getting rid of futures seeing more or less viable upturn attempts. 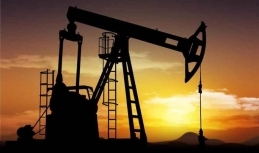 The similar situation is said to take place lately – Brent prices hit two-week bottom near $58.60 on Tuesday. For now, the price stands at some $58.57 and keeps sliding. As the market experts stated, oil quotes fail both take roots above the $61-handle and psychological level of $60. Technically, this means that they can drop deeper in the near term. After some price upturn on Thursday coming closer to the 62-handle, oil is again depressed at the Friday trading falling down to the 61-handle. The fluctuations remain restrained staying within this-week range. 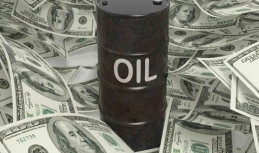 According to the report of the International Energy Agency (IEA) released lately, oil prices can skyrocket driven by the decreasing investments in oil production. Moreover, the IEA stated in its report that the slacker demand for the oil as automotive fuel which will be recorded beginning the middle of 2020, will be offset by the petrochemical products and other transportation means. Baker Hughes will release US drilling activity report on Friday. The European currency has broken the $1.13 handle for the first time over two weeks, touching the bottom near $1.1285 on Friday. It seems that the euro faced some support at this level. The observed euro dynamics can be driven by a number of economic factors. Demand for the risk assets resumed slackening after a 2-week break. At the same time, the US-China trade talks have to take a backseat by now, while the urgent issue is new concerns about global economic slowdown. 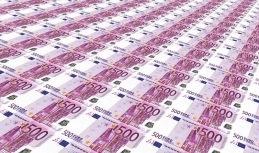 Being a risk asset, the euro was affected by the market changes, with stronger demand for the greenback as a protective asset only aggravates the current situation. 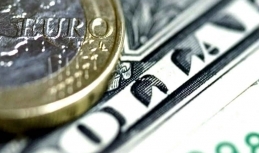 After being slack for about two days, the euro has shown some upturn against the US dollar in the middle of the week. 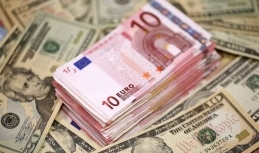 However, the euro-to-US dollar pair remains in the red before the release of the US inflation data and the meeting of the European Central Bank, the week milestones. The bearish messages of Mario Draghi may only expand pressure on the euro. For reference, the currency is depressed from many fronts (Italy, UK, France). As a result, the euro start losing its attractiveness in case of more signs of the political crisis spreading in Europe. 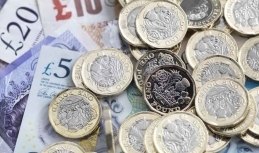 Following practically five-week-long slackening, the sterling has managed to break the 1.25 handle (the bottom of April 2017) and moved up to the 1.26 line, which is now believed to be the last frontier on the downward track. Today the currency is said to stabilize slightly standing somewhat above $1.26. However, the Brexit tensions persist, and thus more active buying is unlikely to be seen now, while profit-taking is highly possible. Following last Friday, the US dollar keeps facing selloffs on Monday. At the end of last week, the situation was entailed by a weak labour market report. For now, the US Dollar index hiked to $96.63. The sterling is unstable in view of the upcoming voting in the UK parliament. However, the currency shows more modest changes unlike the euro, which managed to the November peaks at $1.1440, though then it slightly dipped though remains in the black anyway. The US dollar is generally uncertain, though the price is fluctuating at the sideline on an upcoming release of the US labour market report. The market expects that the report will dispell recent concerns for the US economy and show the significant strengthening of the employment and salary rates. With this scenario, the greenback will lure demand, though the probable upturn is unlikely to be long-lived. The US dollar can also get some support in its slow upward attempts from the OPEC+ meeting. The markets have fastened their eyes on the OPEC+ talks that are about to finish on Friday.